Unable to get much information about the badge maker’s client, Rintarō decides to leap back in time to confront the client in question, only to find it was Hashida, who wanted to make a fake badge to cheer Suzuha up. 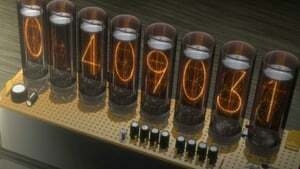 Hashida then mentions that Suzuha’s time machine is only able to travel backwards in time. As the repairs to the time machine are completed, Mayuri deduces from the time machine’s naming convention that Suzuha’s father is actually Hashida. 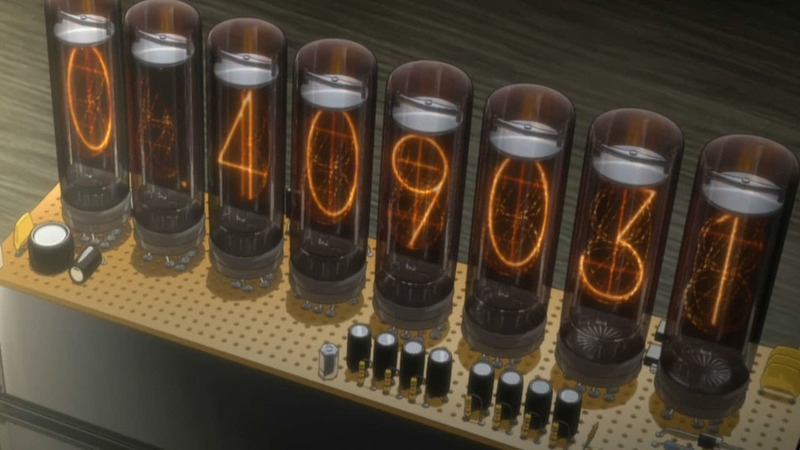 After a short reunion, Suzuha travels back to 1975, though Rintarō notices the Divergence Meter’s reading hasn’t changed. Later, Mr. Braun delivers a letter from Suzuha from the year 2000, mentioning that she commited suicide a year later. In the letter, Suzuha laments that she failed her mission, as the damaged time machine caused her to lose her memories for 24 years. Rintarō blames himself for stopping her on the night of the party and, despite Mayuri’s pleas, sends a D-Mail that stops him from following Suzuha, letting her use the time machine before it was damaged. Speaking with Mr. Braun again, Rintarō learns that Suzuha has died of illness instead, leaving behind her Divergence Meter. Noticing a small change in divergence, Rintarō returns home and finds Mayuri has not been killed by Moeka.